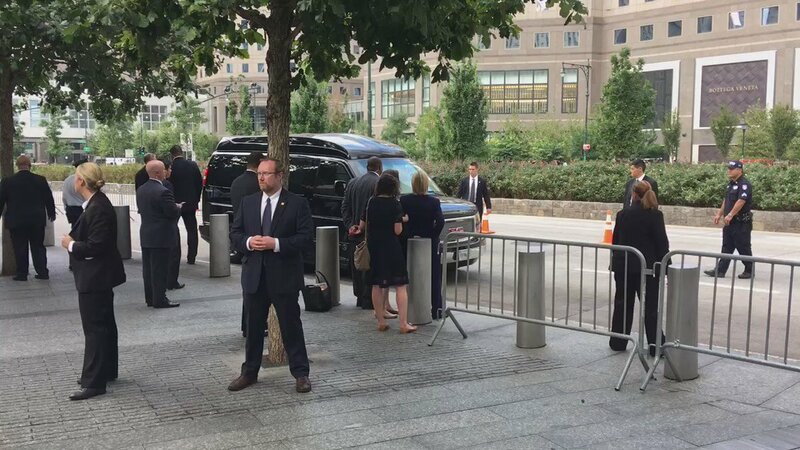 Mrs. Clinton arrived at the commemoration event around 8 a.m. and left at about 9:30. But for over an hour after that, her campaign would not offer any information about why she had left early or where she was. Mr. Merrill did not respond to multiple inquiries about whether Mrs. Clinton was treated by a doctor or took any medications. “During the ceremony, she felt overheated, so she departed to go to her daughter’s apartment, and is feeling much better,” Mr. Merrill said. Donald J. Trump, the Republican presidential nominee, also attended the event, as did a host of other dignitaries. Temperatures were in the high 70s on Sunday morning in New York, and it was humid. 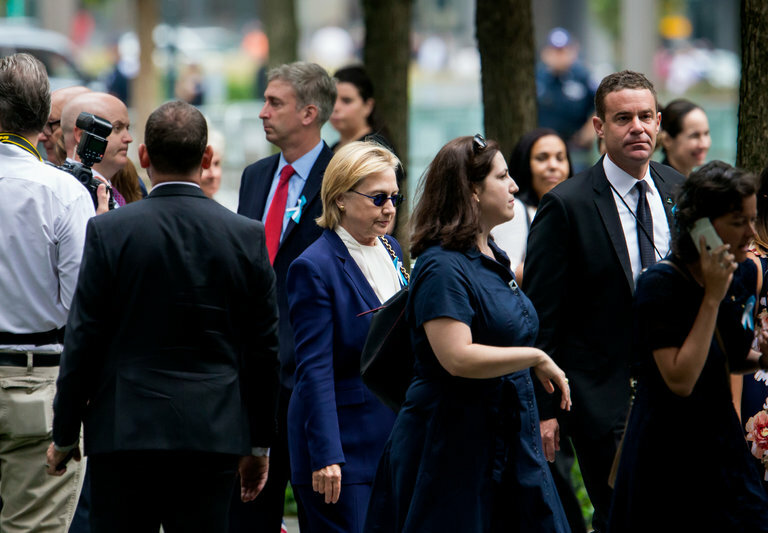 Others at the event said afterward that Mrs. Clinton did not appear ill when she first arrived at the former site of the World Trade Center. “She seemed fine,” said Representative Peter T. King, Republican of New York, who recalled greeting and speaking briefly with the former secretary of state around 8:30 a.m. But about an hour later there was a minor commotion, Mr. King said. A number of New York’s current and former elected officials had been standing in silence as the names of the victims of the attacks were read. Suddenly, Mrs. Clinton, herself a former New York senator, left her position. Mr. King said it was hot enough that officials working at the event offered the dignitaries bottles of water as they stood. But he noted that he did not see anybody accept a bottle.